This is a Luxury airport transfer to or from Keflavik International Airport to Reykjavik city one way with a chauffeur driven Mercedes E class ambient edition. This vehicle is designed to service small group travelling for business or leisure. Good choice for up to 7 passengers in comfort. 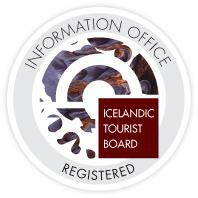 Duration of trip is 55 Minutes or 65 Km depending on location of your hotel in Reykjavik. Please inform us prior to arrival, later in the booking procedure under comments. Please include the age of the child. We only provide personal English speaking chauffeurs. For 6 hours or less prior arrival in Iceland is a 100% charge. Your chauffeur and guide is specially trained for safe and reliable driving and also knows the facts and figures about Iceland. All of our chauffeurs have special licence number 450 from the road administration of Iceland to be allowed to drive chartered cars and buses.